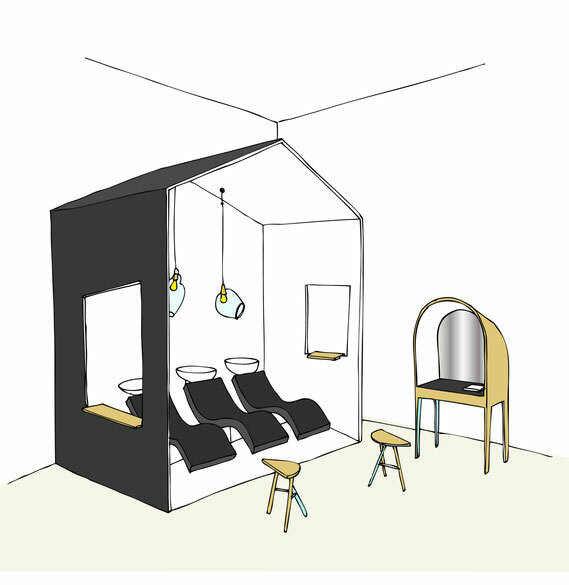 Hairdresser space designed by Margaux Keller, in association with Bertrand Guillon architect. 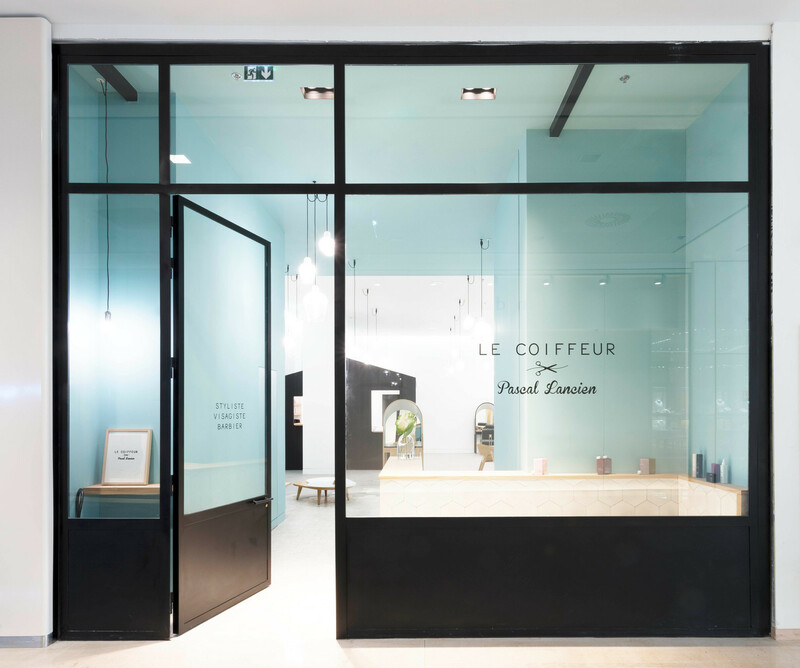 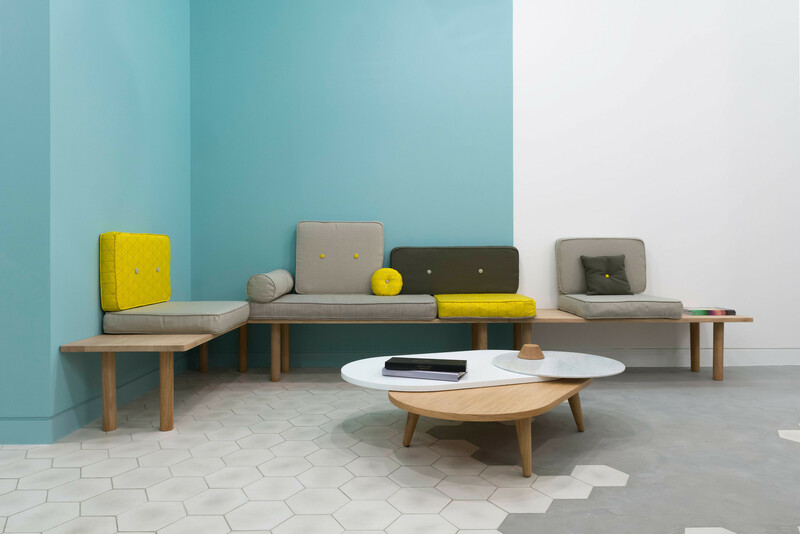 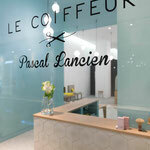 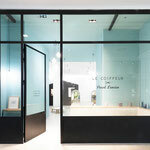 In addition to bouillabasse and aioli, the seaside city of Marseille is now home to a new gem – a cleverly designed hair salon called Le Coiffeur. 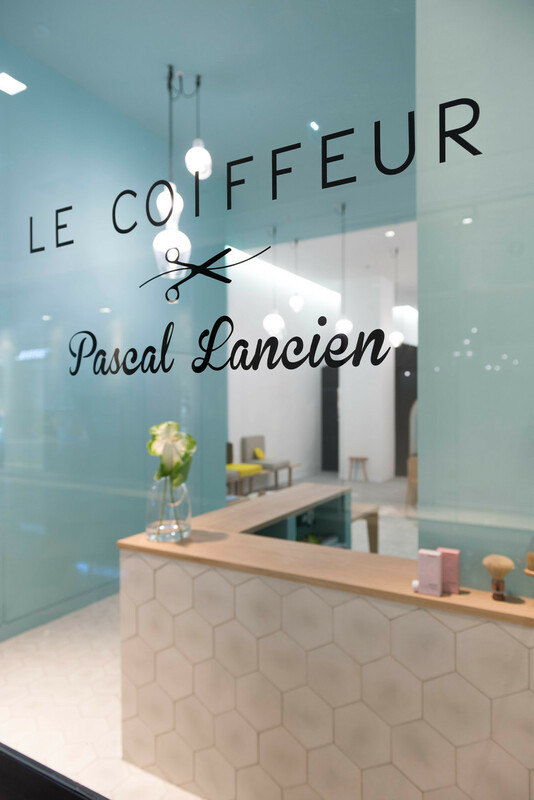 Conceived for local stylist and salon owner Pascal Lancien by Fabrica alumnus Margaux Keller, a Marseille native herself, the elegant space puts an inviting new spin on the conventional format of a hairdressing studio. 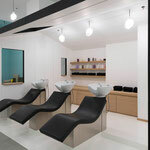 For shampoo services, Keller has designed a one-sided wooden cabana, discreetly tucked at the end of the space for privacy. 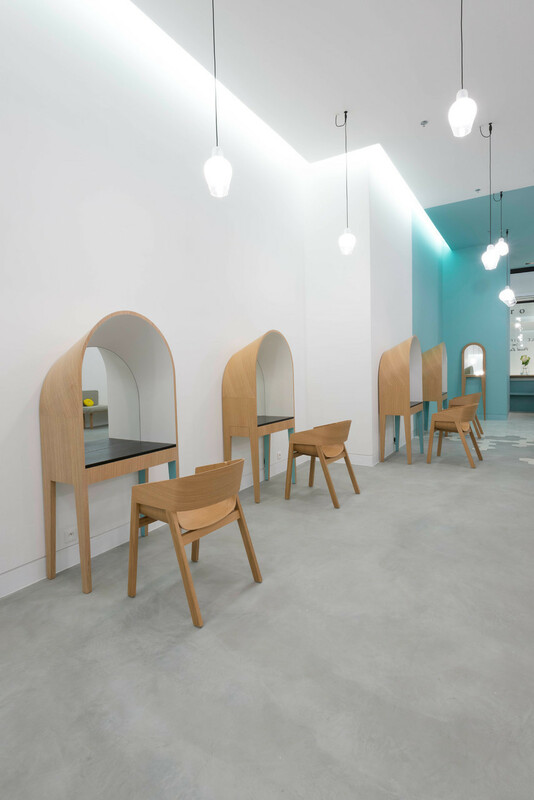 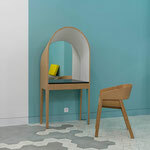 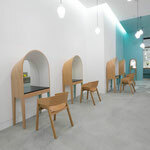 Haircuts and styling take place at individual desks called ‘La Coiffeuse’ that come with arched, slightly hooded mirrors to further preserve a sense of intimacy for clients. 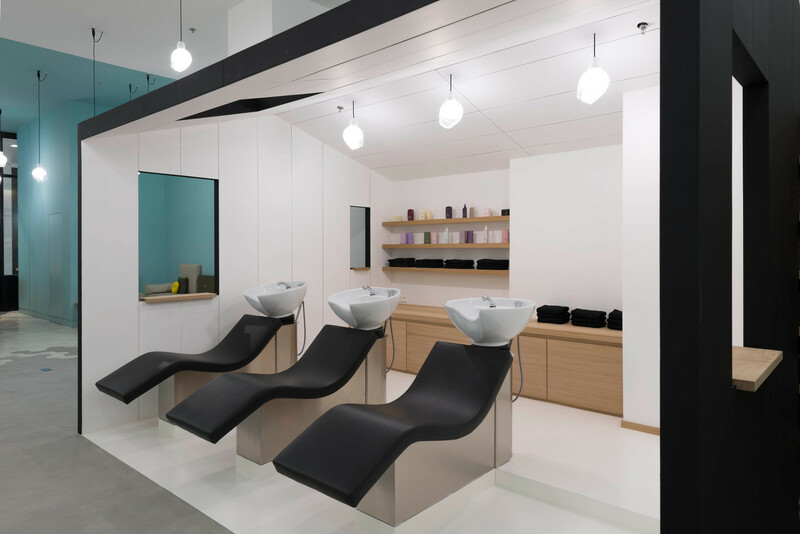 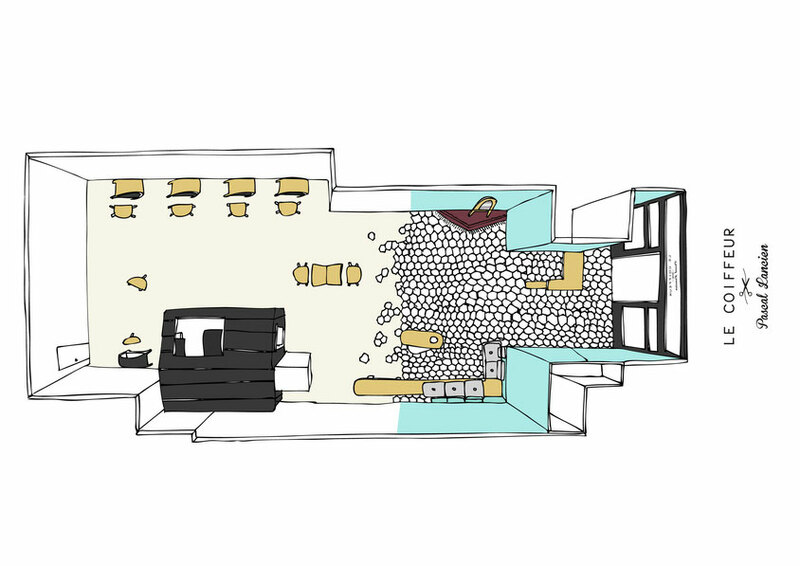 The creative thinking behind the salon is visible throughout its interior. 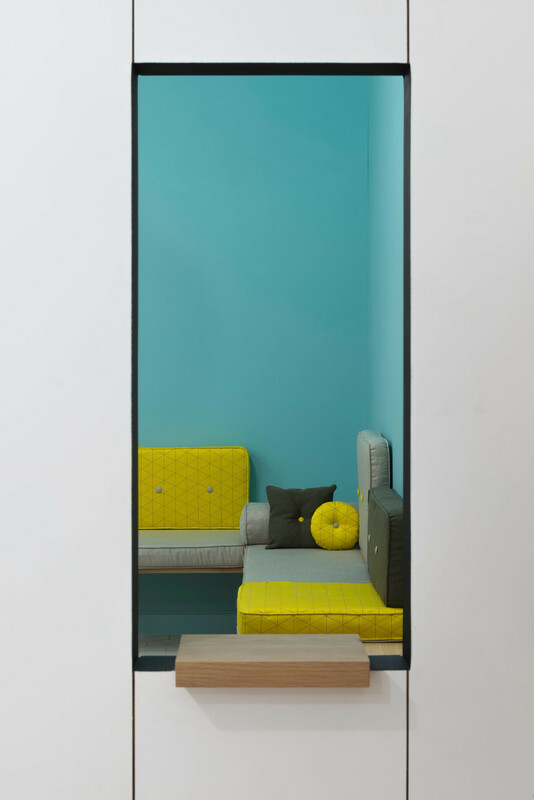 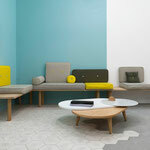 From suspended glass pendant lights, blown in Italy and inspired by the shape of vintage hairdryers, to the simple sofa and coffee table that adorn the salon’s waiting area, there is an alluring tone to the modern space, which has been realised in the muted seaside tones of azure blue and yellow. 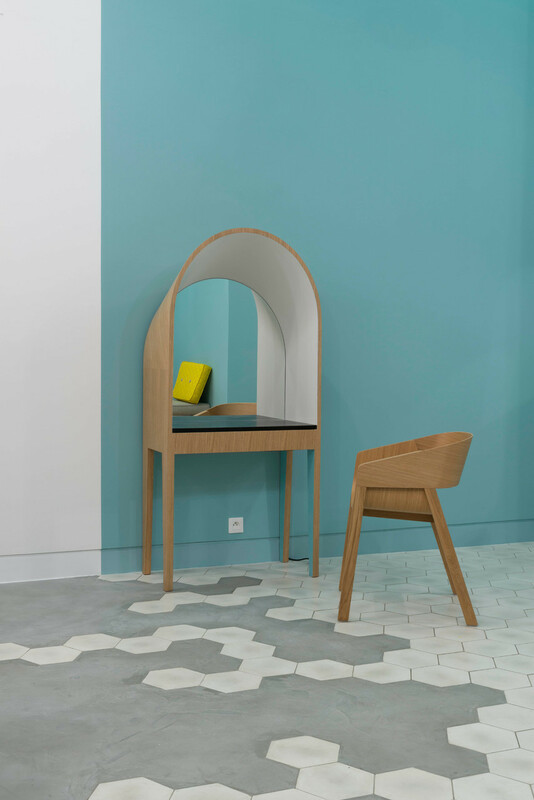 Keller was also careful to retain plenty of southern French touches. 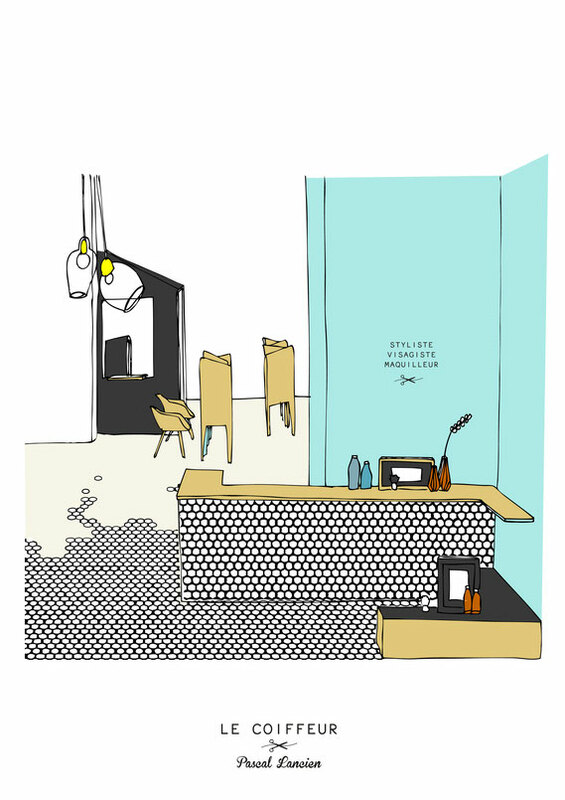 Not only is the shampoo cabana inspired by the cabins of Marseille fishermen, the mix of concrete and tile on the shop floor is also a nod to Provençal tradition.